Last week we looked at the different technologies available when recording data on to removable media such as a writable DVD and I briefly touched on the subject of printing on to the top surface of the disc.Whilst many use a simple glass marker pen, there are of course several other options available should you want give your discs a more professional looking finish. Possibly the simplest option, the label route involves literally printing on to an A4 sheet which has two disc shaped labels pre-cut in to it.Once complete you literally peel off the label and apply it to your finished disc. Unfortunately this technique suffers a number of drawbacks; it looks unprofessional, it is tricky to apply the label to the disc, and unless positioned perfectly the label can physically unbalance the disc, resulting in read errors when spun inside the drive.The only real advantage is that of cost; you don’t require a special type of disc, the labels are relatively cheap and you won’t need anything more than a bog standard printer to print them. In order to print to the surface of the disc, you require a special disc printer and some printable discs; these most commonly have a matt white surface on the top although other colours and finishes are available.The discs don’t cost much more than the conventional non printable variety and with regards to the printer, you can choose a dedicated disc printer or simply ensure that your next printer includes support for printing to disc. 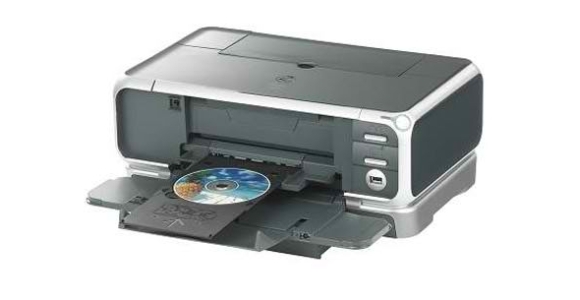 The disc is mounted in a special caddy that is then usually fed in to either the front or the back of the printer (unlike paper which is usually fed in to the top) and then the user simply prints on to it like it were a sheet of blank paper.Special software is provided to ensure that everything lines up and if done correctly the results can be very impressive especially if you look out for full face printable discs – these allow you to print right to the very centre of the disc rather to where the clear plastic ring in the centre usually begins. This type of disc is coated with a reactive dye that changes colour when exposed to the type of infrared laser light present in disc recorders.The technology relies on having a compatible recorder but other than that you only have to worry about ensuring that you buy Lightscribe compatible discs, which whilst readily available, cost almost twice as much as regular discs. Once you have burnt the data you simply take the disc out, flip it over then reinsert it in to the drive before using special software use the laser to etch your image or text on to the surface of the disc.The resulting disc can look quite stunning despite being a greyscale rather than full colour image, and it’ll be several years in normal room lighting before the image even starts to fade.If you are unsure whether your drive supports Lightscribe then the trial edition of DVD info (www.dvdinfopro.com) should be able to advise you.